Home Hear the Scene YOU ME AT SIX Single & New Music Video! 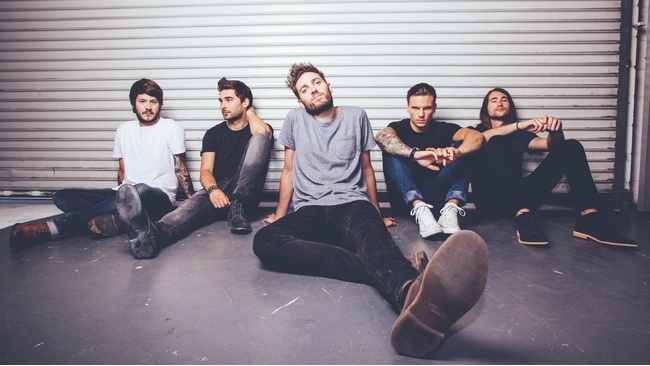 Following the selling out of their UK tour, YOU ME AT SIX have just unveiled the music video for their new single Night People from their nearing fifth studio album. After five very successful previous albums, three of them reaching top 5 and their latest Cavalier Youth (2014) reaching number 1 in the UK, their newest is due for release early next year on January 13th through independent record label Infectious Music and judging by their past, it’s sure to do great things. The new album was recorded in Nashville, US at Black Bird studios with the musical expertise of grammy award-winning producer Jacquire King (who has also produced for the likes of James Bay and Kings of Leon) and was mixed by Andrew Scheps, who has worked with the likes of Black Sabbath and Red Hot Chilli Peppers. In anticipation of the album, the band will be playing a host of underplay shows this Autumn across the UK, and having gained a reputation as one of the best live bands to emerge from the UK, it is no wonder that all of their dates have already sold out. The band have also headlined and sold out such grand venues as the O2 and Wembley arena. Following the announcement of their now sold-out tour, the band topped the Music Week’s UK Ticket Charts, comprising the hottest tickets in the UK, their ticket rates undoubtedly bolstered by their final date at the O2 Shepherds Bush Empire tickets selling out in just 3 minutes. Following the announcement of the tour, the band topped Music Week’s UK Ticket Charts comprising the hottest tickets in the UK, bolstered by the final date at the O2 Shepherds Bush Empire selling out in just 3 minutes. They have also scored thirteen consecutive A-list singles on Radio 1. With anticipation building for their new album, it looks like 2017 is going to be another huge year for the band. The new single can be purchased here and the tour dates and venues for the upcoming UK tour can be found below. Previous articleRed Bull UK Gaming Tournament!